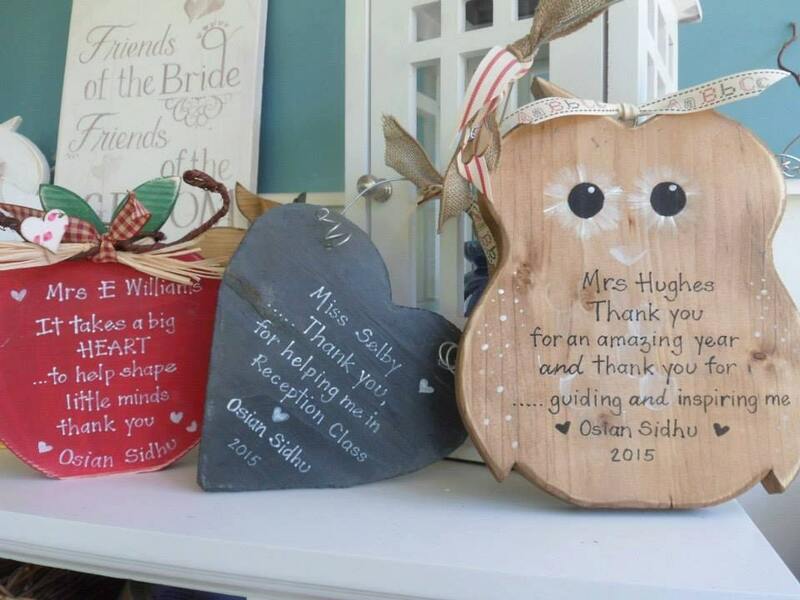 Teacher gifts, a lovely selection of ideas, from slate hearts, owls and apples with a personalised quote for your favourite teacher. 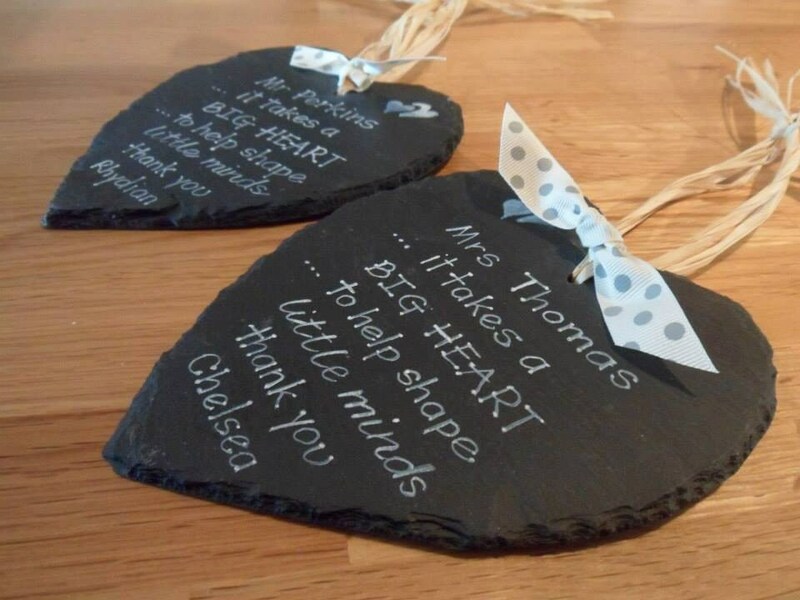 Our personalised gifts come in a range from slate hearts to shaped decorations. We have apples , owls and pencils especially for a favourite teacher, LSA or nursery teacher. 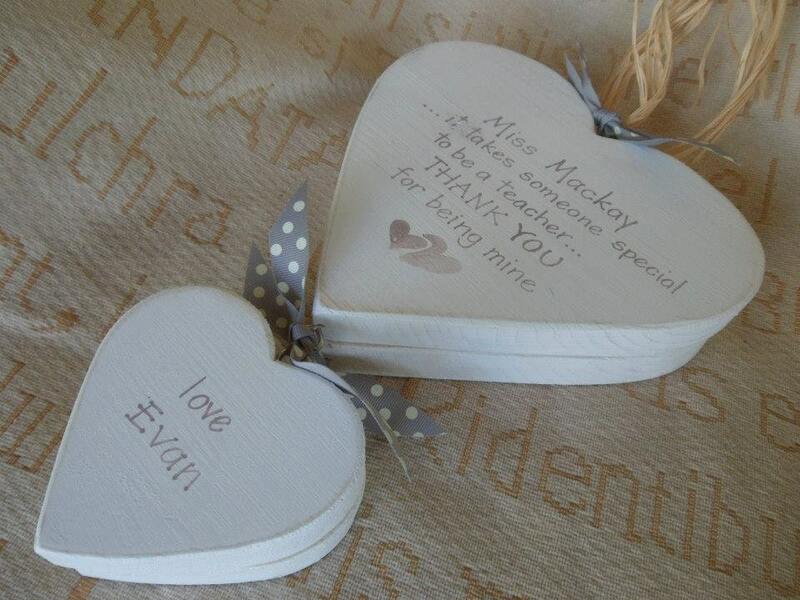 They are bespoke and thoughtful wooden plaque and beautiful keepsakes for them to treasure always. 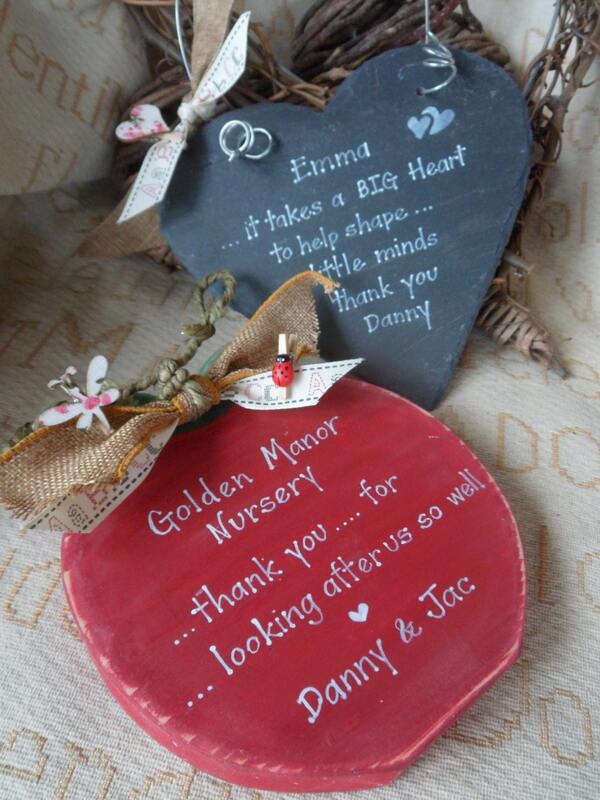 Beautifuly hand crafted and hand painted we have gifts which can be freestanding or that can hang. 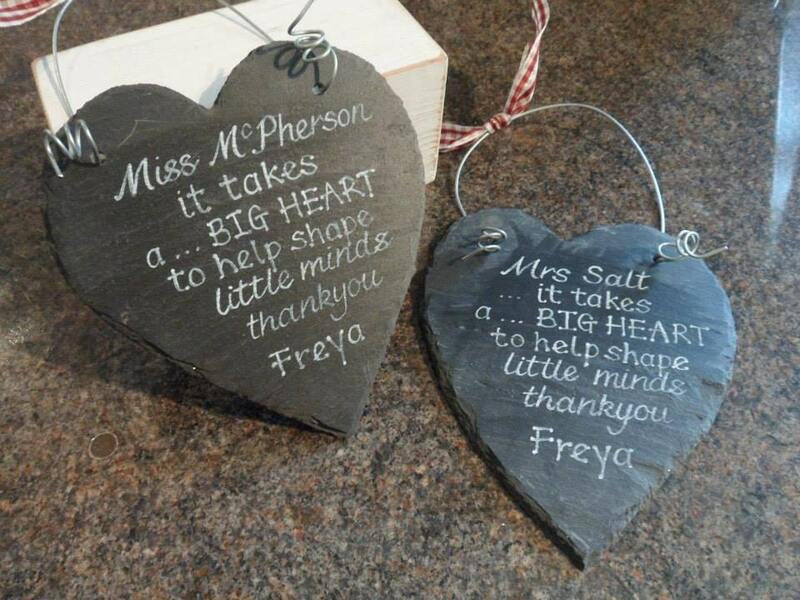 Made in a shabby chic style and sanded back to reveal the wood, these are beautiful keepsakes for anyone to treasure.